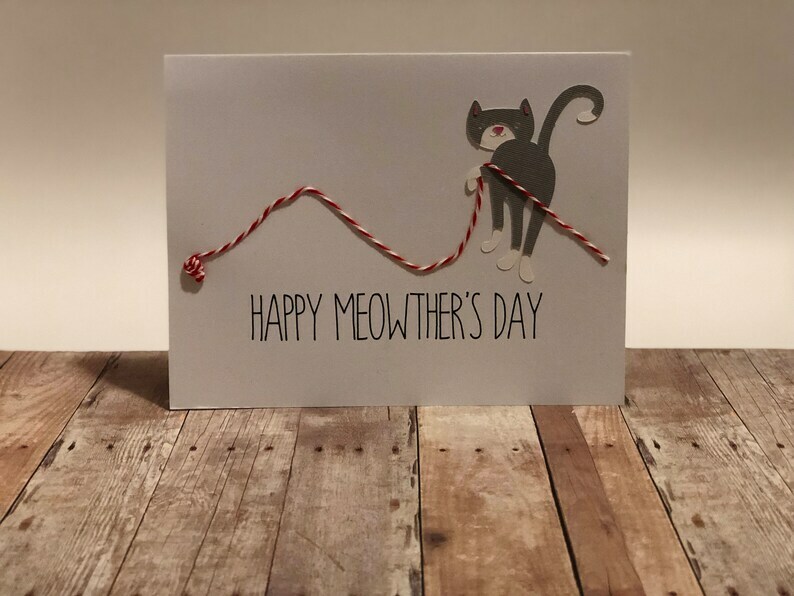 Wish the cat mom in your life a Happy Meowther's Day this Mother's Day! Greeting card measures 6.5" x 5". Includes envelope. I'm so excited this card arrived today! I'm sending it for an instagram Cat Lady Mother's Day exchange, and I need to get it in the mail to Sweden by the 16th. This card is delightful and beautifully crafted. It's so fun to have a unique, handmade card to share. I just love it! It was safely packaged and shipped quickly. Thank you! So cute! Arrived promptly and my mom loved it! This was absolutely perfect. Great quality. The seller was great to communicate with and was accommodating to my schedule. Handmade Twins Baby Shower Thank You Cards "Twice the Love. Twice the Thank You!"